The Johnson Tracking Collars with tree switch has been making dog tracking collars and tracking equipment for over 20 years. Their dog tracking collars are built tough to meet the demands of a serious hunter. 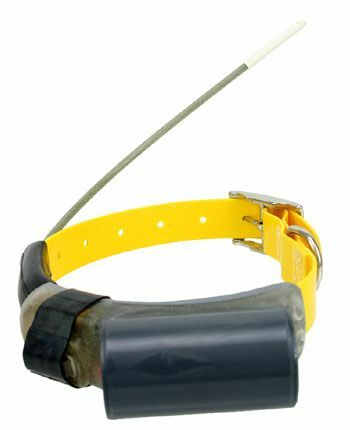 This 16,000 hour collar carries a full 1 year warranty direct from the manufacturer and transmits 10-12 miles line of site. The built-in tree switch sends a signal back to your receiver to notify you when your dog has game treed and lets you track right to the spot. This Johnson Tracking Collars will work with all receivers but make sure you double check your frequencies before ordering. Please add $10 to the price shown for the Tree Switch Model.